Q: Can we order our own design or different color9 What is the MOQ9 A: Yes, we can produce your own design. Q: Can you return the model charge9 A: Yes, model charge can be returned after place order. Q: Can you make the metal tag9 A: Yes, the metal tag is free as long as your order/mix order is 200pcs. 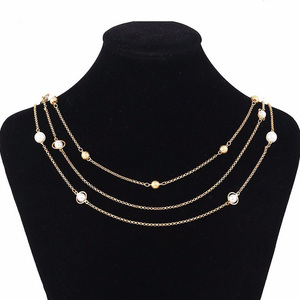 Yiwu Busheng Import And Export Co., Ltd.
30% Deposit , and balance paid before delivery. 30% Deposit , and balance paid before delivery. 5.Q:What's the Payment method9 A:T/T, 30% deposit before production, the balance before delivery. If you are very urgent to get the price, Please call us or tell us in your email so that we will regard your inquiry priority. 2. How can I get a sample to check your quality for jewelry 9 After price confirmation, you can require for samples to check our quality. 4. What about the lead time for mass production9 15-30 days,It's depend on product quantity and craft. 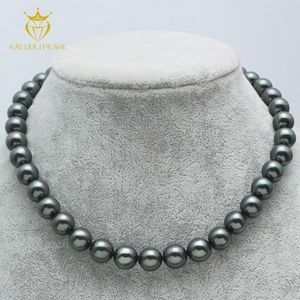 artificial black pearl collar necklace Commodity Name artificial black pearl collar necklace Model Number ND19467 Feature Fashionable Material Alloy MOQ Depend on differernt products Departure port QINGDAO Packaging 1pc per OPP bag,3pcs per big OPP bag or in gift box Payment 30% deposit in advance,70% balance before shipment Delivery Time 25 days after the preshipment sample approved Advantages 1. Small orders are accepted 2. OEM&ODM are accepted 3. Short lead time 4. Men antique alloy necklace,angel wing necklace,leather necklace 5. ECO-friendly 6. 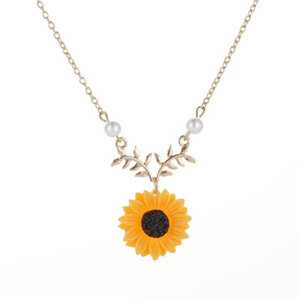 We are a professional export company for various necklaces,for example:Leather necklace,wing necklace,alloy necklace,fashion teen necklace jeweley ,handmade necklaces,costume jewelry,jewelry sets. 1.Q:Are you a factoty 9 A:Yes,We are factory,we welcome you visit our company before order 2.Q:What's you lead time9 A: Generally 2-5 weeks after payment for customize order. it depends on the product quantity 3.Q;Can you provide free samples9 A: We provide existing samples for free but freight collect for customized samples,we will charge sample fee accord to the cost,after place order,we will return sample fee 4.Q: What is your payment method9 A:30% deposit in advance,70% balance before shipment 5.Q:Can you make my designs9 A: Yes, OEM/ODM is welcome, please feel free to send us pictures. 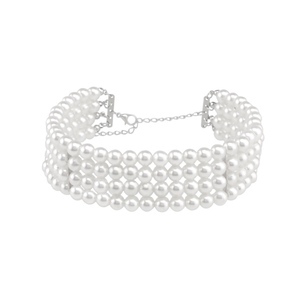 is a professional exporter, manufacturer and wholesaler in the freshwater pearl industry. 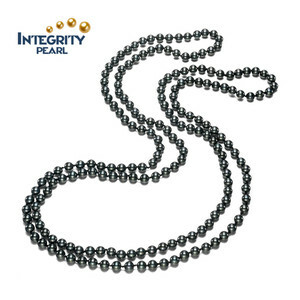 With 25-year experience of pearl producing and a total water area of more than 2000000 square meters, we company introduced advanced pearl polishing, drilling, dyeing processing technology, formed a set of strict norms of quality control and management system as well as production, supply, marketing integration of the modern business structure. 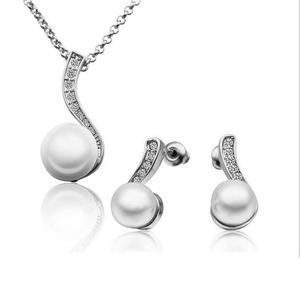 Our main products are: freshwater pearl jewelry, gemstone jewelry, crystal jewelry, alloy jewelry, 925 sterling silver jewelry, promotional gifts, suits nine major categories, a total of more than 8,000 models of products and more than 1000 new designs each year. 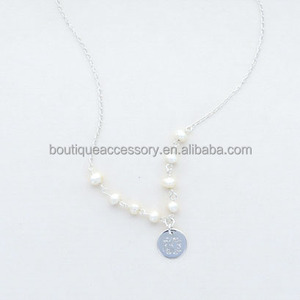 Alibaba.com offers 1,834 artificial pearl necklace products. 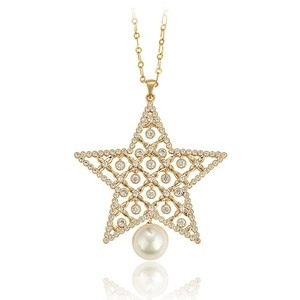 About 49% of these are necklaces, 38% are pearl jewelry, and 12% are zinc alloy jewelry. 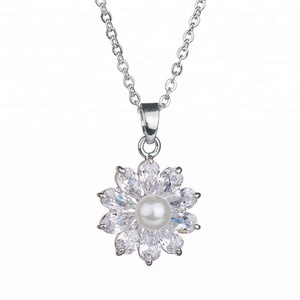 A wide variety of artificial pearl necklace options are available to you, such as anniversary, gift. You can also choose from free samples, paid samples. 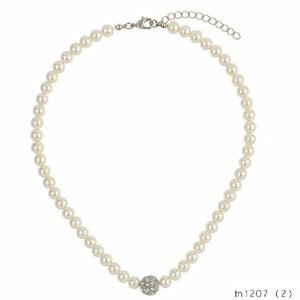 There are 1,739 artificial pearl necklace suppliers, mainly located in Asia. 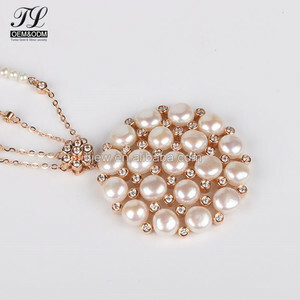 The top supplying countries are China (Mainland), India, and Hong Kong, which supply 63%, 34%, and 1% of artificial pearl necklace respectively. 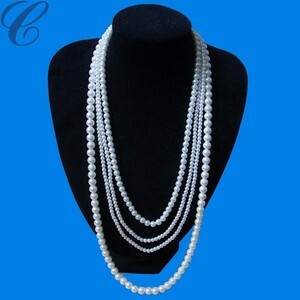 Artificial pearl necklace products are most popular in North America, Western Europe, and Southeast Asia. You can ensure product safety by selecting from certified suppliers, including 231 with Other, 46 with ISO9001, and 16 with BSCI certification.